The Future of Minority Studies Research Project (FMS) is a consortium of scholars and academic institutions with a primary interest in minority identity, education, and social transformation. 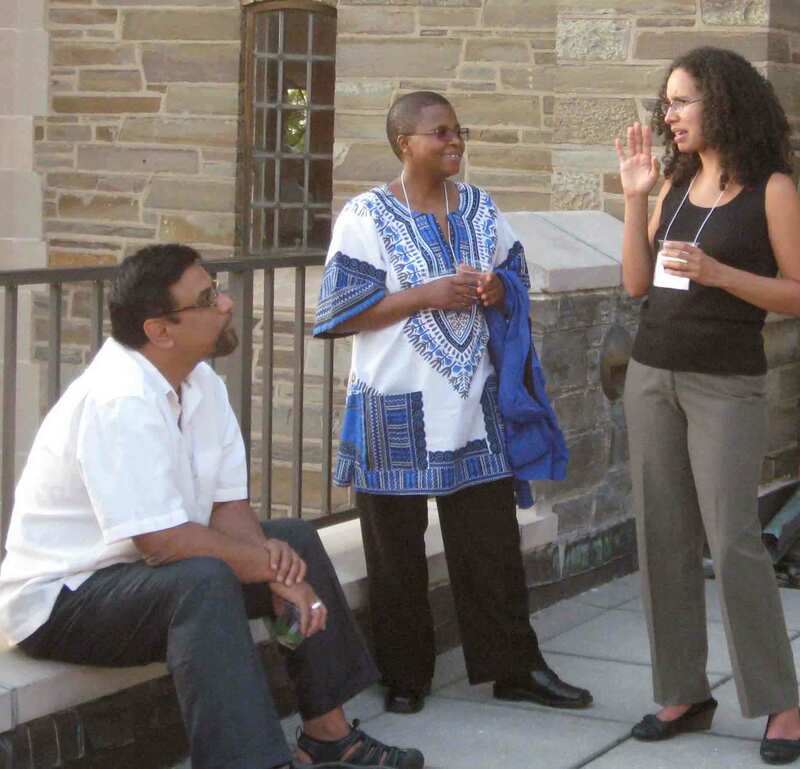 Although originally conceived in 2000 as a year-long interdisciplinary bicoastal research initiative, the FMS project has evolved to become a mobile “think tank” facilitating focused and productive discussions across disciplines about the democratizing role of minority identity and participation in a multicultural society. At a number of different events organized over the past few years, FMS participants have focused their discussions on a defined set of questions about the changing role of education and the need for an adequate conception of minority identities as the basis for progressive social change. For more information about the genesis and intellectual background of the Future of Minority Studies Research Project, please see the original 2000 proposal and the collaborative volume, Reclaiming Identity: Realist Theory and the Predicament of Postmodernism (U California P, 2000). A distinctive feature of the FMS Project is that it is interinstitutional, interdisciplinary, and multigenerational. To date, FMS scholars have come from over 110 institutions of varying sizes: private research universities (e.g., Stanford, Brown, Cornell, Syracuse) liberal arts colleges (e.g. Hamilton, Moravian), major state universities (e.g. Wisconsin, Michigan, Indiana, Tennessee) as well as HBCUs (e.g., Spelman, Howard) and smaller state and community colleges. Moreover, FMS scholars come from a variety of disciplines in the humanities and the humanistic social sciences, and range from undergraduate students to senior administrators. One of the guiding epistemic ideas shared by most participants in FMS, the theory of "postpositivist realism," has emerged as a promising research framework for stimulating inquiry and intellectual engagement among literary scholars, philosophers, area specialists, and some social scientists. On this approach, the researcher is led to pursue a series of questions about “socially embodied identities” that invite concrete historical investigation and ethnographic inquiry. The Project is organized through a faculty coordinating team that includes Linda Martín Alcoff (Hunter College/CUNY Graduate Center), Johnnella Butler (Spelman College), Beverly Guy-Sheftall (Spelman College), Michael Hames-García (Oregon), Joseph F. Jordan (UNC), Amie Macdonald (John Jay College), Ernesto J. Martínez (Oregon), Chandra Talpade Mohanty (Syracuse), Satya P. Mohanty (Cornell), Paula M. L. Moya (Stanford), Susan Sánchez-Casal (Tufts University/Skidmore College - Madrid), Tobin Siebers (Michigan) and Sean Teuton (Wisconsin). To date, the following universities have been key to the support and growth of the FMS Project: Binghamton University (State University of New York), Cornell University, Hamilton College, Spelman College, Stanford University, Syracuse University, the University of Michigan, the University of Oregon, the University of Washington, and the University of Wisconsin.